The famed Trip Adivor site has recently named Hanoi as top of the world cheapest city to travelers after a survey made from 4 criteria. From expertise and experiences over the years, the 2 last criteria are nominated by our team, Indochina Voyages. * Accomodation/hotels: This most critical concern is well mentioned when Hanoi offers a wide ranges of hotel from 2-5 star ratings while alomost all of the locations are city central or walking distance to the city focal points. Its also help as a right base for many day or several package tours out of Hanoi as Halong Bay, Hai Phong, Ninh Binh, Mai Chau, Perfume Pagoda and a lot other traditional handicraft villages dotted along the Red River Delta. * Meals: As from the survey for 3.5 days with lunches and dinners, the cost is so competitive in compared with the rest of the list, if it is not said the cheapest. This statistic is counted for having meals in quite good scale restaurants BUT keep in mind that Hanoi is a world famous street-eats city which provide so many eating expriences, diversified foods and of course, with yummy tastes. Expenses for these places are much cost saved than the number appeared on the table. * Sightseeing fee: Beside some of the public monuments, historical sites which are open free to travelers, most of the museums, sightseeing places in this city offer a charge of 0.5 cent up to $2. You can see the cost is so thrilled to make a busy city tour at wishes. – Get the reputable ones as Hanoi taxi (04.38.53.53.53), Mai Linh taxi (04.38.222.666), Thanh Nga taxi (04.38.215.215) and Thanh Cong taxi (04.32.57.57.57). The two last is the best with cost, while the car is a bit smaller. – Provide the taxi driver with a fix address and if possible, have taxi-ordered from your hotels, restaurant or the establishment you are about to leave. – Take a photo once you are in. Photo should be with the Taxi brand and its number, mostly appeared to the top right of the car. This help to warn the taxi driver to serve you right. * Hair Cut and Hairdresser: From my research and experiences, this is quite a good chance to save your $ while you can experience a different ambiance for your new hair-cut…in the open street side. Your travel partner can also have a good photo of you to boast with friends at home of a new experience that Hanoi had offered. Price for these haircut ( male client ) is ranging from $1.5- $2. For the indoor hairdresser (serve female client ) a hair cut is ranging from $6- $9 plus a hair wash and blow of $2- $3. * Bia Hoi: This last but not least, a real culture of Hanoi in the last several decades but started to be well-known by travelers around the world. A bia hoi cost around 0.3 cents and you can order some local snacks to go with your beer. You will be amazed at the crowd but fun of these places while immerse yourself with the local ambiance of the Bia Hoi corner has to offer. The meaning of “Ao Dai” in English is “ long shirt”, simply describes how it looks like. But not only a kind of clothes it is, Ao Dai carries timeless stories along with the Vietnamese history. 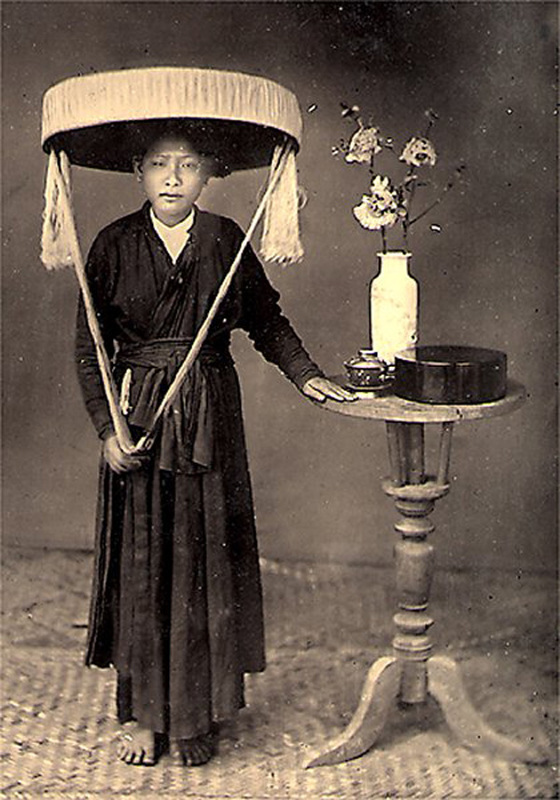 Until 19th century, Ao Dai had become popular all over Vietnam and become traditional costume of Nguyen Imperial. Although color options were limited to muted blacks or browns with peasants, in high higher class version, the 5-paneled long shirt was available in various colors. In 1858, French began colonizing Vietnam, marking a new page in history. Ao Dai gradually affected by the Western Style. 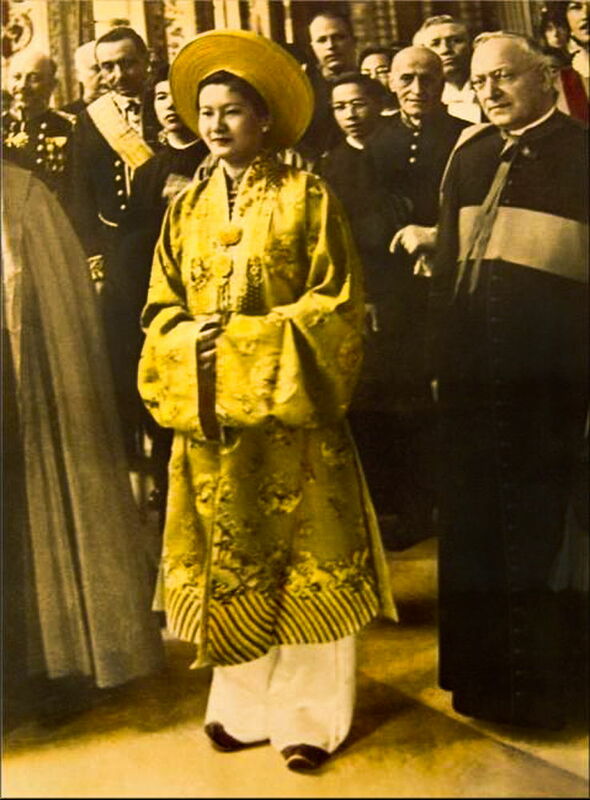 1930, for the first time a female painter named Cat Tuong in Hanoi launched new designs combine traditional Ao Dai with the Western dress of the French. The new gown was formed with 2 elegant panels reaching to the ground and fit the wearer’s body using pins and a nipped-in waist. Its collar, flaps and sleeves were influenced by the Western style as well. This type of Ao Dai was known as Ao Dai Le Mur, named after the the designer in French. But the design was only a hot trend among artists, and became old-fashioned after a short period. 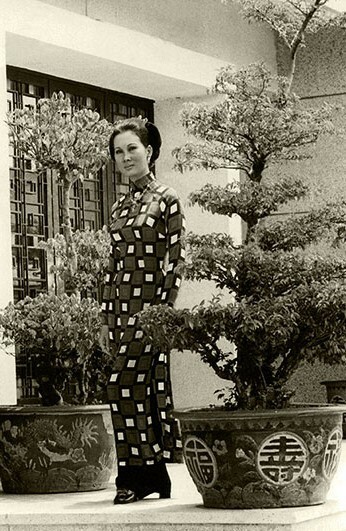 In 1950s, there was a tailor in Saigon sought to create a new structure for the Ao Dai. The result was the “raglan,” a sleeve based on Western fashion techniques which eliminated the clumping of material under the arms of the Ao Dai, bringing it a step closer to its current form-fitting style. 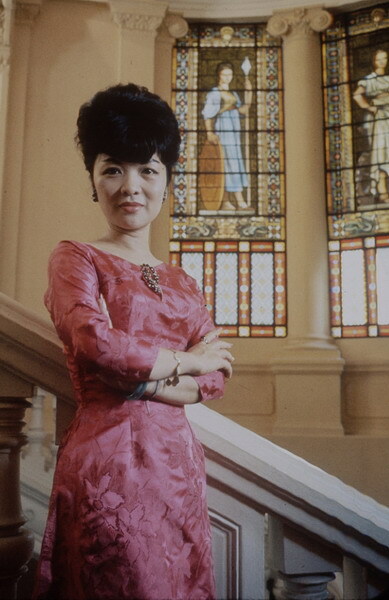 The Ao Dai stepped onto the political stage when Tran Le Xuan, wife of Ngo Dinh Nhu, Chief Political Adviser of Ngo Dinh Diem, President of South Vietnam’s First Republic, donned its first décolleté version to promote her New Woman Movement. 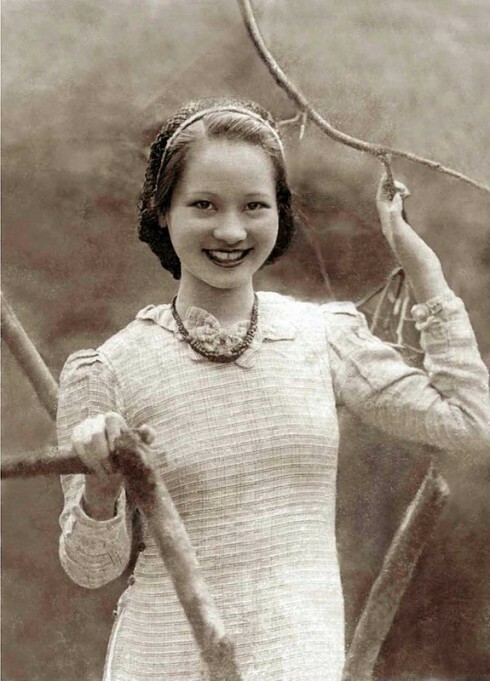 The picture of the Dragond Lady in her Ao Dai with a bateau neckline and snug upper body on the TIME magazine cover became a new fashion icon for Southern women. 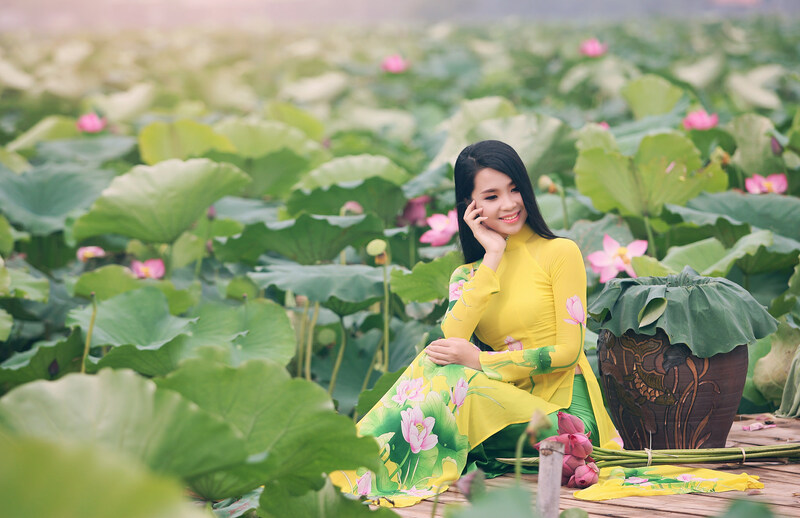 Over decades, it was not until the late 1980’s when the Renovation reforms pulled the country out of economic hardship, the Ao Dai was resurrected and is now one of Vietnam’s defining national symbols. If you want to know more about Ao Dai in details, you’re welcomed to the Ao Dai Museum at 206/19/30 Long Thuan, Long Phuoc Ward, 9 District, HCMC every day except Monday from 8.30am to 5.30pm.